Firm. 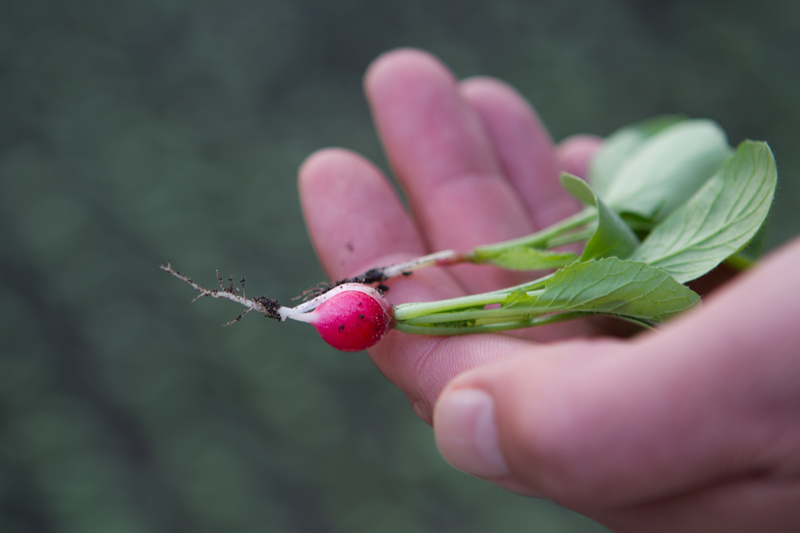 L. de Zeeuw & zn in ’s-Gravenzande grows 2.2 hectares of bunch radishes under glass. 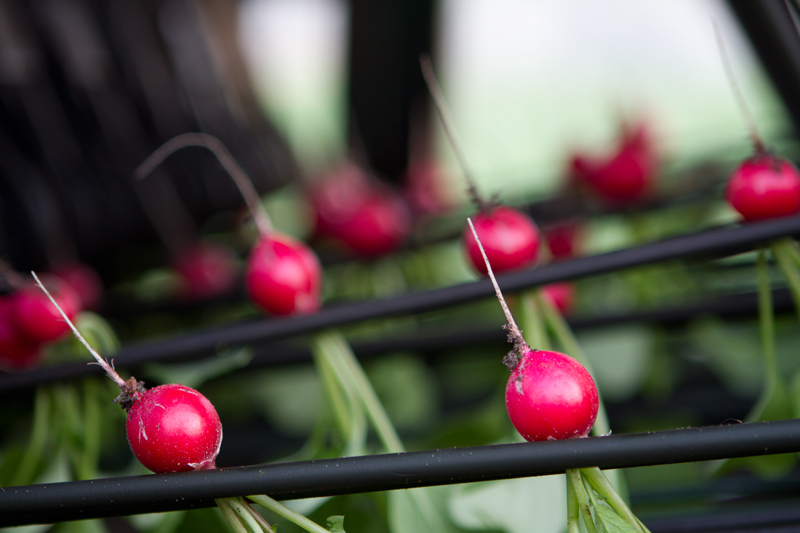 In order to ensure continuous production, Jaco de Zeeuw sows a radish section every week. The radish grower can harvest six days per week. During the summer 18,000 bunches per day and during winter between 2,000 and 3,000. The radish company has been supplying Versland Selection ever since the year 2000. 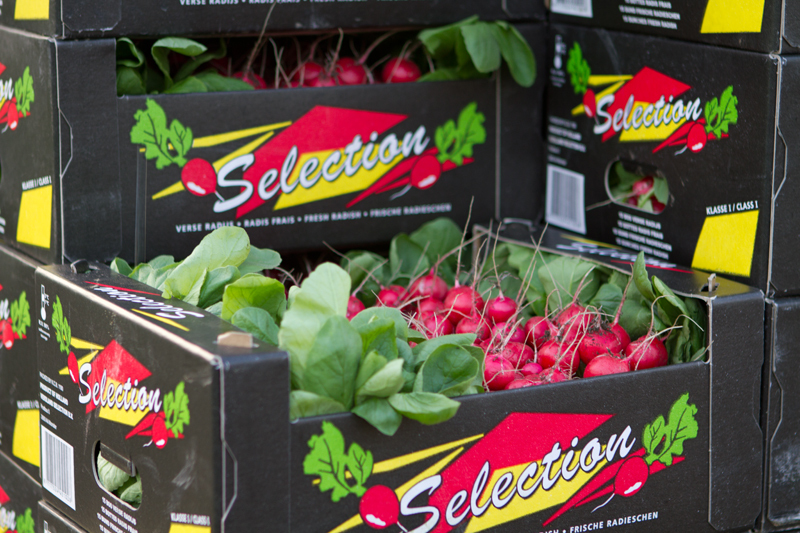 Upon demand, all radish bunches are packed and delivered in wooden cases, plastic crates (EPS-fust) or cardboard boxes. The buyer determines the number of bunches per package, which could be 8-15. At Versland Selection the radish is washed in a modern washing area, meeting the latest BRC-requirements. “The central washing of the radish is not only better for the environment, but also a strong selling strategy”, says Jaco de Zeeuw. The best thing is a continuous flow and sales at stable prices. One year is better than another. “As a radish grower we think along with Versland Selection to have a regular product. 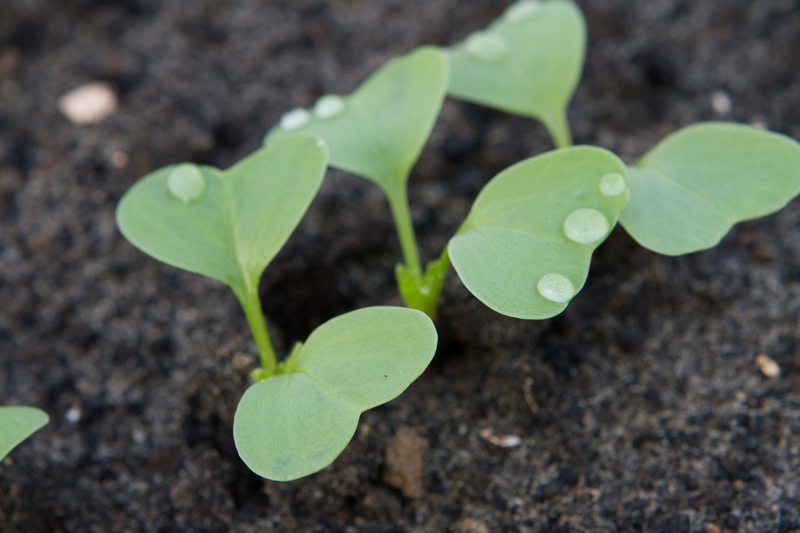 We do not sow the entire area in one week, but spread the sowing in correlation with them. There is nothing we can change about the weather, due to which sometimes you have a great bunch of products. In that case too, Versland Selection will do anything to sell the radish as profitable as possible”.